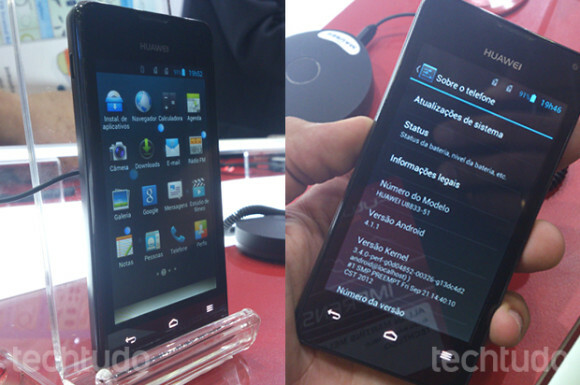 The Huawei Y300 was showcased at a tech fair in Rio de Janeiro, Brazil, a couple of days ago. We were able to come across a couple of images and some specs of the upcoming smartphone. The Huawei Y300 will be running Android Jelly Bean 4.1.1 out of the box on a 4" display of WVGA resolution (480 x 800 pixels). The smartphone will be powered by a dual-core processor, clocked at 1.2 GHz, 512 MB of RAM and will feature a 1730 mAh battery. All that will be packed into a shell weighing only 120 grams. The device is said to launch in Brazil by the end of December narrowly missing out on the holiday shopping spree and should cost just $250. salam , m using this device , bought it 2days before , great device in all manner but the battery timing is not good , i must say the battery timing is WORST !